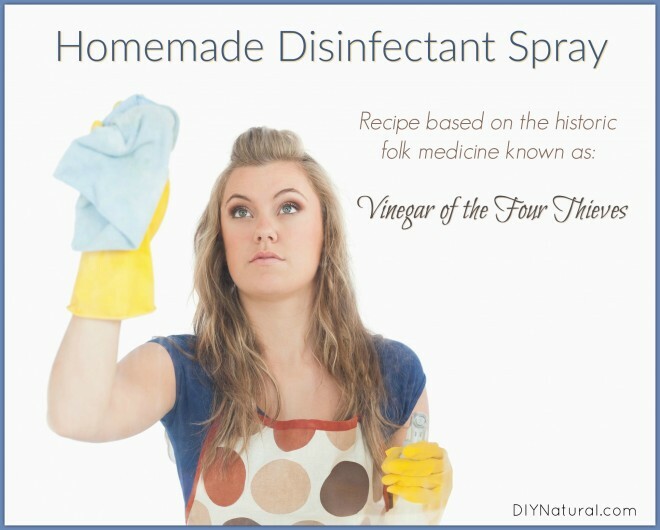 Enjoy this homemade disinfectant spray that is based on the historic folk medicine, Vinegar of the Four Thieves. In the past few weeks it seems our house has been hit by one plague after another. I’ve finally had enough and have decided to do the spring cleaning a bit early this year. One of my favorite tools is a simple recipe that is at least 500 years old. The Vinegar of the Four Thieves recipe serves a number of purposes here in our house. I learned this traditional medicine from my mentor, Rosemary Gladstar. During the Middle Ages, as the story goes, there was a small band of thieves who took advantage of the large numbers of dead during the plague to make their living. Of course, the plague was particularly contagious and at that time the dead bodies would have been considered as public enemy number one. Spending your day sifting through the bodies to look for your fortune should have been a very dangerous prospect, but instead these thieves appeared to be able to walk among the pollution with immunity. When they were finally captured, authorities decided that the secret elixir they were drinking to preserve their health was important enough to offer lighter sentences in the exchange. In the tradition of many of our important folk medicine traditions, it was never an exact recipe that was handed down. Just like Fire Cider, the name was passed down while each family was free to alter the recipe as they pleased. Most agree that the original recipe is one of antibacterial, antiviral, and anti-fungal plants immersed in a vinegar that was then used internally to prevent infection. Most of the legends agree that the original formula included copious amounts of garlic. How is Vinegar of the Four Thieves used? Since learning about this bit of our medicinal history, I have made my own. I use it mixed with honey and eaten during an illness, I use it to spray down and disinfect surfaces in my home and I’ve even used it in a salad dressing. It is more important than ever that we make our own versions of traditional formulas such as Four Thieves and Fire Cider as large companies daily file for trademarks in an attempt to own our folk medicine history. The best thing we can do to protect these recipes is to make them ourselves and share them freely with our friends and neighbors. If we are all making them on our own there is less cause to buy the versions that large companies make. You’ll note that my disinfectant spray uses apple cider vinegar instead of white vinegar. This is because when I’m not cleaning with this recipe, I’m eating it. If you wish to use this recipe for cleaning only, white vinegar is less expensive and often preferable in this type of application. Place all of the ingredients (except vinegar) in a quart mason jar. Warm the vinegar (don’t boil or allow it to steam) and pour it over everything in the jar. Place a plastic lid on your jar (as the vinegar may corrode metal) and set the jar aside, shaking it daily for at least 2-3 weeks. I really like to allow this to steep for 6 weeks, but if you are in a hurry and the vinegar smells potent you can stop it earlier. Strain out the herbs and pour vinegar into a spray bottle. I like this especially for glass and for cleaning surfaces in the bathroom and kitchen. As I mentioned before, if you are ONLY using this formula as a disinfectant, white distilled vinegar can be used in place of apple cider vinegar. Combine 1 tsp of honey with 1 Tbsp of Vinegar of The Four Thieves (diluted in water if you wish) and drink as often as you would like. 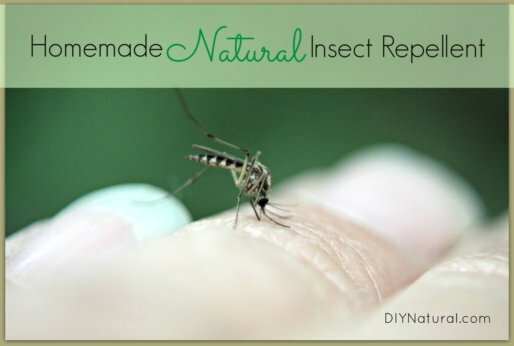 Please note that you may also blend essential oils together to make a similar formula. Mountain Rose Herbs has a great recipe for that here. Please note that you SHOULD NOT ingest this formula involving essential oils. You may use a blend like that added to water for disinfecting surfaces or add one to two drops to a steam for congestion. I haven’t been able to find fresh lavender yet this year. Can this be made with dried lavender? How do you smash cinnamon sticks? Am I being obtuse in not knowing? Can’t wait to try this recipe though! I keep spray bottles of white vinegar in each bathroom, and three places in my kitchen, dining area for quick clean ups and have done so for years. Works wonderful and replaces all of toxic cleaners on the market. I clean my toilets each day and of course it is a most effective cleaner and deodorizer. I only use bleach sporadically for mold if necessary. I’ve got a hydrogen peroxide and lavender EO spray that I use daily in the shower! Works great to keep the mold under fairly good control! Every once in a while, I’ve gotta use the bleach for mold, but it’s quite sporadic…and because I know there is mold under the caulking in my apartment which I can’t get to unfortunately. Nice recipe! I would not use it however on natural stone like marble, granite, etc. since it is acidic. Which raises a question. What would be a good homemade disinfectant for surfaces like granite, marble, etc? It would make an interesting post. Hi Lori, Maybe try Dr. Bronners “Sal Suds” product? I use it (diluted at 1T per 1 gallon of water) to clean all my bathroom tile, walls, and exterior of toilet and also the interior of our cars. I am fairly certain it would not be corrosive to natural stone. (There is also a terrific, effective recipe I would be happy to share in which you can use Sal Suds as a cleaner of the interior of the toilet and interior of tub as well.) When you figure the per use cost of Sal Suds, it is dirt cheap, and it is a truly eco-friendly product as are all of Dr. B’s products. I have looked into Dr Bronner’s Sal Suds( not to be confused with Dr. B pure castile soaps, which have no toxic ingredients) Sal Suds have SLS’s which are toxic to humans as well as the environment. Thst is my main issue with the Sal Suds. I would hardly call an EWG “A” rating “toxic”. As is so often the case, people online must be competitive, rude, and try to one-up. I trust ANY product from Dr. B. Thank you so much for this recipe! I have seen others but, for some reason this one just clicked with me! I also love that I can use it for fire cider, too!